There was a lot of excite­ment in a fishing village in Yorkshire one morning. Jimmy Cook, the grocer’s boy, had run away to sea. “He was always talking to the fishermen,” said one woman. 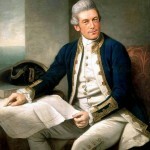 James Cook was born at Marton on October 27, 1728, I in a farmer’s family. His family soon after went to live in another village. The house they lived in there is now in Melbourne, Australia. It was brought from England and put together again as a memorial. James went to school until he was twelve. When he left school he joined his father on the farm. But he did not re­main there for long. Shortly before his sixteenth birthday he was sent to work in a grocer’s shop in a small Yorkshire fishing village nine miles from Whitby. He worked all day among the groceries and slept under a counter at night. He did not like it at all and he wanted to go to sea very much. So he ran off to Whitby and that was how he first got aboard a ship. He was given a job on a ship which carried coal from Newcastle to London. The mate of the ship recommended that James be given nautical training and the shipowners agreed to accept him for a term of three years. When his apprenticeship had ended and he had served a further three years as an ordinary seaman, he was promot­ed to be a mate of a merchant ship. And in another three years the owners of the ship offered him the command of that ship. Ever since the day he ran away to sea, James Cook, like many other boys, dreamed of the time when he would command a ship. Now that the offer was made to him, however, he refused, because he wanted to serve in the Royal Navy. Shortly after his enlistment into the Royal Navy, the Seven Years War broke out. Besides sending armies to Europe, Britain also sent a fleet with an army to strengthen the British position against the French in Canada. When the war broke out, James Cook was a mate. He was made captain of a ship and went across the Atlantic to take part in the siege of Quebec. But soon he was given a new work: to chart the River Saint Lawrence and the coastline of Newfoundland. 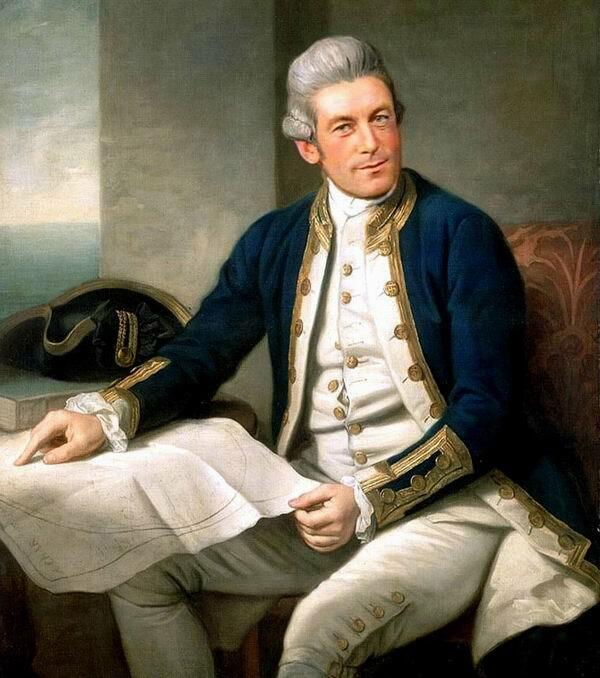 By the time the war was over, captain Cook had become famous as a mapmaker and nav­igator. Already in those days it was thought there was a large continent in the far south of the Pacific Ocean, and the British government wanted to be the first to find and claim it. In the year of 1768 captain Cook was allowed to select his ship for a voyage to the south Pacific. He chose a four hundred ton brig, like the one he had sailed in so often in his younger days. She was called the Endeavour. Twenty-two guns were put on board, enough food to last for eighteen months, and also ammunition and other ne­cessary stores. The Endeavour set sail from England in August 1768. It was announced that the ship was sailing to the Pacif­ic to watch the passage of the planet Venus across the sun. But the real aim of Cook’s expedition was to discover and annex to the British possessions the unknown southern con­tinent. So secret was this part of his mission that not even Cook himself was allowed to know his orders until he had reached the Pacific. When he got to Tahiti he went east and south to explore and found a number of islands. Among them was New Zea­land which had been discovered long before by a Dutchman named Tasman. Cook sailed round the coasts of New Zea­land, proved that the islands had no connection with any large southern continent, and sailed through the strait now known as Cook Strait, which separates the North island from the South one. After charting the whole of New Zealand and proclaming New Zealand British territory, Cook sailed westward. But he had still to find the unknown continent. His ship had sailed about 2,500 miles round the two islands of New Zealand, in addition to the long journey to and from Ta­hiti, and was very much in need of overhauling. Besides this, Cook had sufficient provisions left for only four months. He therefore decided to return home, but by a route which could help him to discover the elusive continent if, in fact, it really existed. He wanted to return by way of Cape Horn, but in view of the condition of the Endeavour he decided to sail a shorter, more northerly route through the East Indies. Cook.started his homeward journey on April 1, 1770. At 6 o’clock in the morning on the 20th of April one of his officers sighted the eastern coast of the land now known as Australia, and which no European had ever reached before. For nine days Cook sailed northwards along its eastern coast, searching for a suitable point at which to land. At last, on April 29, he reached a bay which was surrounded by a great number of tropical plants. So he and his botanists named it Botany Bay. And a few miles to the north Cook saw a splendid natural harbour which he named Port Jackson. Cook’s own account of how he first set foot upon the soil of Australia said that the natives opposed the landing. They threw stones and darts but could do nothing against his muskets. For more than a month Cook continued his exploration of Australia sailing along the coast. Finally, the Endeavour passed into the Great Barrier Reef. There, at 11 o’clock on the night of June 10, she ran onto a coral reef. The situation was dangerous. The ship was beating so violently against the coral reef that one could stand on her deck with difficulty. What to do? Perhaps if the crew made her lighter it would help. Into the sea went six of the guns, food, bal­last, everything they could move, while the men started the pumps and worked away at the water which rose in the ship. All night long they worked hard. When the morning came, the first thought of everyone was to look for land; and there it was, but almost thirty miles away! Nobody could swim so far; there were not nearly enough boats to take them off if their ship broke up and those who reached land were likely to be killed by the aborigines, but even if they were not, there was no chance of being rescued from this unknown land at the other end of the world from England. This was Captain Cook’s worst time. High tide was ex­pected at 11 o’clock in the morning. The wind died down before then and all was ready to take the Endeavour off the coral reef. At 10 o’clock in the evening on June 11, twenty-four hours after the ship had struck, a final desperate effort was made. As the tide rose, almost everything was thrown into the sea. But nothing happened because there was four feet of water in the holds of the ship. All day long the pumps worked without a stop and as the tide began to rise in the evening, the hopes of the seamen rose with it too. At twenty past 10 they could bring the Endeavour into deep water. By this time those manning the pump were very tired; they took turns, five minutes at a time, because that was all they could do. It was found that in deep water the ship did not take in any more water than she had on the reef, all night long the men pumped. By 11 o’clock in the morning a strong wind came in from the sea and the ship could make for the land. The crew found a good place where the tide would leave the ship high and dry so she could be repaired. And it was only when the Endeavour was on her side that it became clear what had saved her. One of the holes in the ship was so large that a dozen pumps, working all the time, would not have kept up with the water coming in. But a large piece of reef was still stuck in the hole, and it kept the water out. The ship was repaired as quickly as possible. During the repairs, the men saw for the first time the strange animal called the kangaroo. As the coast seemed to Cook like the coast of South Wales in the British Isles, he called it New South Wales, and claim­ed it for the British crown. Then the Endeavour sailed back to England. Cook had completed a very important voyage. His companion, the na­turalist Joseph Banks, brought back a remarkable collec­tion of Australia’s curious plants. But neither Cook, nor anyone else, imagined that, in reaching the land he had named New South Wales, Cook had discovered the Southern Continent. Indeed, he felt still more doubtful about its existence. But as he had explored only a small area of the sea, he had by no means proved that there was no such continent. He was eager to find it, and he volunteered to undertake a new voyage. He set sail once more on July 13, 1772, this time with two ships. Cook’s plan, briefly, was to sail southwards down the Atlantic as far as climatic conditions allowed, or until he reached land. The expedition sailed with two and a half years’ supplies of food, including lemon and orange juice to prevent scurvy (a disease which was then the enemy of all seamen) and large quantities of warm clothing. By the end of November they had passed the Cape of Good Hope; and on December 10 they met their first iceberg. Before long many more icebergs appeared and a dense fog descended, accompanied by a heavy wind which drove the ships dangerously close to the ice. Yet still they sailed on and on into the icy unknown. Then, on January 17, 1773, after six months at sea, the Antarctic Circle was crossed for the first time in history. Convinced that only ice lay ahead, Cook steered a north­easterly course towards the Pacific. There he spent several months discovering further groups of islands. One of them he named the Cook Islands, and another the Society Islands after the Royal Society; and he revisited both Tahiti and New Zealand. With the return of the Antarctic summer he turned south­wards once more. This time he succeeded in penetrating still farther beyond the Antarctic Circle. But still he saw no sign of land; only one great impenetrable barrier of ice. Again Cook had to turn eastwards. After discovering still more islands and making further fruitless searches for the Southern Continent, he returned at last to England on July 30, 1775. He had sailed farther south than any man before him, but he had not seen the Antarctic continent. This failure led Cook to the conclusion that there was no continent within the Antarctic Circle and that if land did exist farther south, it was practically inaccessible. So further exploration in the South Polar region ceased and was not resumed for fifty years. 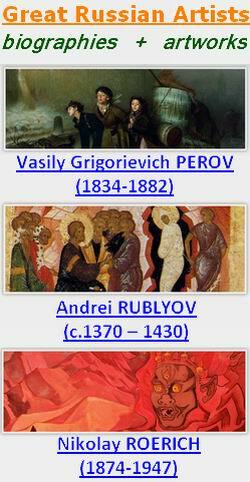 As it is known, the world is indebted to Russian seamen for the discovery of Antarctica. It was a Russian expedition, led by Captain Faddey Faddeyevich Bellinsgausen and Lieutenant Mikhail Petrovich Lazarev which first sighted land within the Antarctic Circle. That was at the beginning of the 19th century. When Cook returned to England he received a great wel­come and was made Captain of Greenwich Hospital. It seemed as if Cook’s days as an explorer had ended and he could live in comfort with his family. But he was distres­sed to think that he might never go to sea again. He had no cause to worry, however. Just at that time the Navy was planning another voyage to find a sea route round the north coast of Canada. Cook was asked to give advice, and then he was asked to lead an expedition. Cook was delighted. On July 11, 1776, he sailed once again, first to New Zealand, then through the Pacific to Tahiti. He was at sea for just over two and a half years, during which time he discovered more islands in the Pacific. When he struck the American coast, he followed it north into the Bering Strait. But on finding his way blocked by ice, he became convinced that there was no passage. Winter forced him to return south. Cook decided to sail to Hawaii until the weather conditions improved. The people of the islands were friendly but after refitting his ships, he found a boat missing. Cook began to look for it and wanted to arrest the native king. A fight began, in which Cook was killed by the natives. A few days later the survivors of his last expedition stole ashore to recover Cook’s body and give him an honourable burial at sea. Captain Cook did more than anyone who had explored the Pacific and the southern seas before him. He was a truly great explorer, a brave and skilful seaman. But, like many other discoverers of new lands, he served colonizers who sent expeditions to various parts of the world to expand their empires.